The second season of “The Vet Life” is scheduled to premiere 10 p.m. Sat., April 15 on Animal Planet. 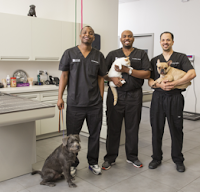 Now that their Texas-based veterinary practice has been up and running for two years, the doctors’ = (Dr. Diarra Blue, Dr. Aubrey Ross and Dr. Michael Lavigne) have established a loyal clientele filled with beloved family dogs and cats, as well as farm animals and rare exotics. 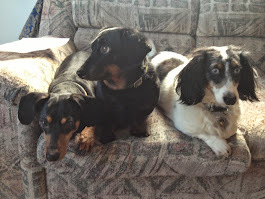 In between tending to all these wonderful creatures, the three doctors are fine tuning the tricky balance of work and family life with their wives, kids at home--while lending support to each other along the way. This season, the doctors’ competitive comradery is in full force as they build and expand the scope of Cy Fair Animal Hospital.